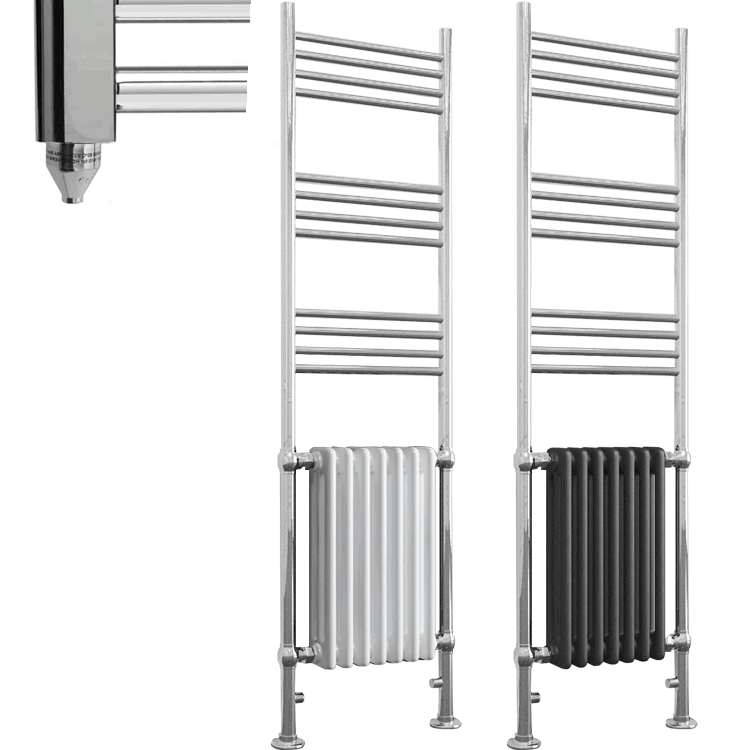 Duke Traditional Victorian Heated Towel Rail / Column Radiator for Central Heating / Electric / Dual Fuel. 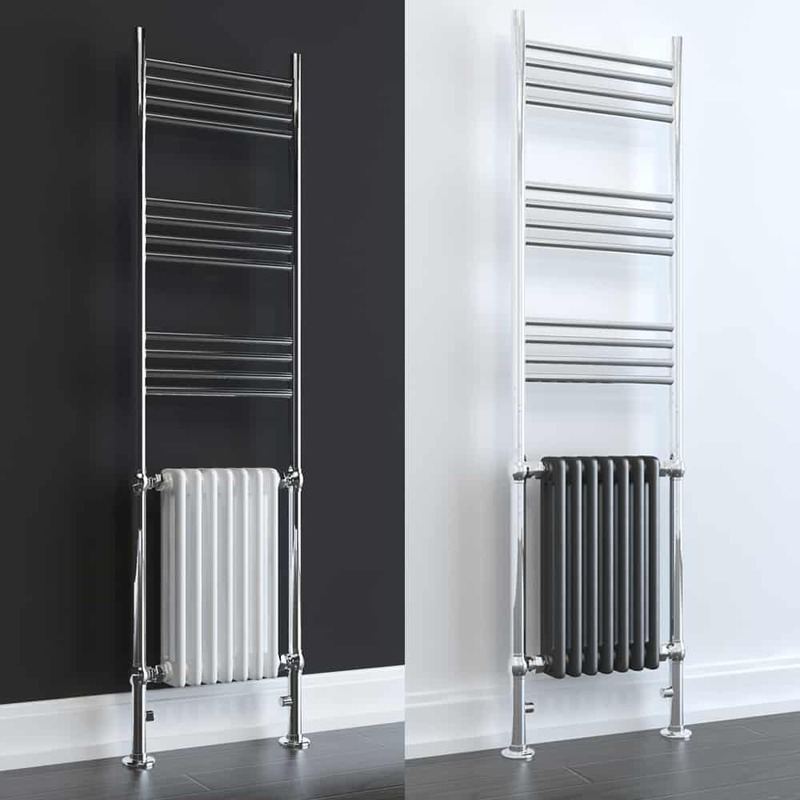 Vintage, Classic, Stylish, Vertical Ladder Design. Sizes: Tall / Large. Colour: Chrome, White, Lava Grey. Height: 1500 mm. Width: 500 mm. Optional Timer / Thermostat with Electric / Dual-Fuel models.